RealtyTrac just released their February foreclosure activity report and it shows Chicago foreclosure activity for February down 18% from January. The decline was manifest in all 3 foreclosure stages tracked by RealtyTrac: default, auctions, and bank repossessions. However, you have to look at this decline in the context of the historic variability of these numbers, which is huge. 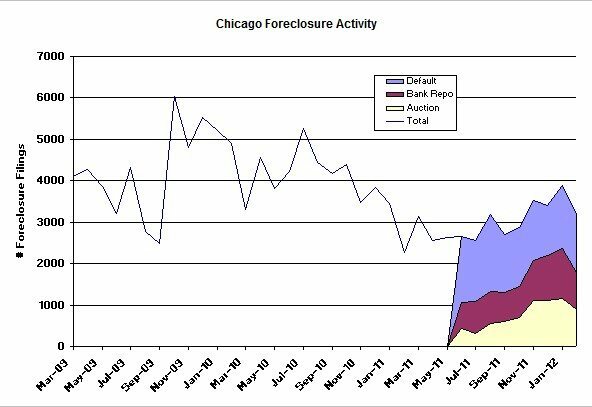 Chicago might still be in a general upward trend in foreclosure activity. Therefore, I wouldn't get too excited about this "decline". According to RealtyTrac Chicago is still #5 among the largest 20 metropolitan areas in the country. RealtyTrac is still talking about the impact of various legal resolutions that are paving the way for a higher processing rate of backlogged foreclosures so they are anticipating higher foreclosure activity going forward. 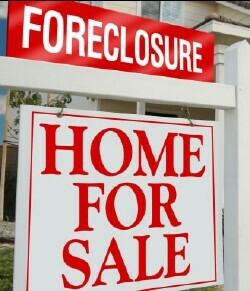 "Chicago-area foreclosures jump 42% in February"
Interesting. I had not seen that but when I looked it up it's because they are comparing this February to last February, which is meaningless. There is no seasonality in the numbers and it's highly volatile so why do that comparison?